Advanced Wellness Lifestyle Series #5 - How can a healthy, happy productive employee drive your company toward increased profit margins? It is estimated that over 80% of employable North Americans are diagnosed with at least one chronic disease of aging. 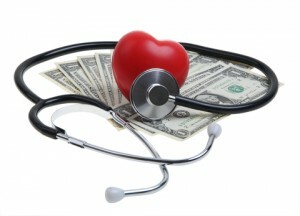 The health of your employee affects your bottom line. What can corporate do to create a win-win environment? A healthy, happy productive employee is what drives your company towards increased profit margins because of the lower presenteeism and absenteeism. When they are healthy and happy they stay in the company longer. Sadly, 80% of the employed individuals within North America are not healthy, happy or producing. They are, in fact, sick, obese and brain-fogged because they have been diagnosed with at least one chronic disease (heart disease, diabetes, cancer and/or neurological conditions, such as anxiety and depression). With continuous employment of these types of people they threaten to destroy the vision, growth and profitability of the company. Let us first begin with describing what wellness means. According to Webster’s dictionary, wellness is defined as “the quality or state of being in good health especially as an actively sought goal.” Simply put, an effort must be made to be healthy. To think that you are well with an absence of a chronic disease diagnosis is dangerous because all chronic diseases take years, if not decades, to surface. The seeds of chronic disease are planted as early as childhood. Our genes, body weight, dietary habits and physical fitness all determine whether we are in a state of wellness or whether we are moving toward chronic disease. These same criteria also determine whether we have silent inflammation and how much. What is silent inflammation and what does it have to do with chronic disease? An increased level of silent inflammation is the number one determining criteria for developing chronic disease, moving us away from the state of wellness. It is silent because it falls below the threshold of perceptible pain. Because it is silent, it is more ominous because active steps are not taken to stop and reverse its manifestation. It slowly and methodically continues to erode healthy tissue for years, eventually developing into a typical chronic disease of aging. All chronic diseases have a common link of increased inflammation in the body. Increased inflammation is defined as increased chemical stress in your environment. Chemical stress affect the health of the central nervous system. Click here to discover where you fall on the health continuum. If you have answered yes to even one of the questions, your central nervous system health may be impacted.